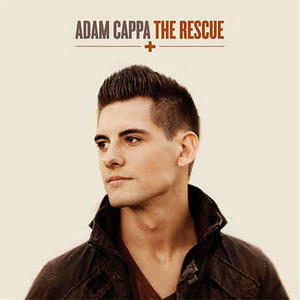 Jay's Musik Blog: Interview with Adam Cappa! 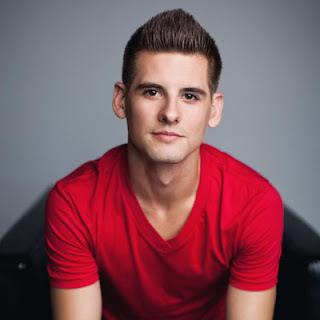 I recently had the chance to interview one of my new favorite up-and-coming artists, Adam Cappa! Adam released his debut BEC Recordings project The Rescue last month, and has already released a handful of singles from the new project. Please note that these questions were written up in mid-March, so actual stats may differ from the current ones. Enjoy this interview, and check out the bottom of the post to see how you can WIN a copy of The Rescue! My questions for Adam are in white, followed by Adam's answers in orange. It was Jeremy Camp who helped spread the word about your music and get you signed to BEC Recordings. He also produced your label debut The Rescue. Can you start off this interview by sharing how it was you originally met him, and how you two began working together? Throughout High School, I was really involved in Young Life. During my sophomore year, I met the Lord at camp. I really looked up to a couple of guys involved as well, who happened to play guitar. So, for my sixteenth birthday, I bought a guitar. I began playing at Club every Wednesday night, learning as I watched them play. Before I knew it I was involved with a youth group leading worship, and soon a permanent fixture on staff for the next five years. Songs began to pour from my heart. I got a few buddies together and we started playing these songs in a garage, then at churches and teen camps. One of my best friends who I met through Young Life happened to be friends with Jeremy Camp. December of 2007, I got a call from my buddy and Jeremy. Jeremy invited me up to his home in Indiana to record a demo. This is where we began our friendship. I would go to shows from time to time to see him or to visit at his home. Over the next few years, the Lord continued to grow my passion for ministry and my friendship with Jeremy. In 2009, I graduated college and the Lord had given me a vision for ministry on the road. I sold my car, bought a van, and hit the road, playing churches and teen camps all over the country. A year later, an opportunity to open for Jeremy came about. I sent Jeremy a text asking if it was cool, and he said “absolutely!” That night as I walked off stage, Jeremy grabbed me and said “Listen, I love you heart and what your doing. I’ve been praying about investing in someone and feel like you’re the guy. My dad even said something to me about you, and that I need to do something with you, and my dad never says that stuff. He said we have the same heart. So I want to get you on the road with me and do a record and just help you out. What do you think? We should pray about it.” And pray we did. About three months later, we reconnected and felt the Lord saying go. We started writing an album together with Andy Dodd and Jeremy began pouring into my life. Once we had a few tunes together Jeremy took them over to BEC and asked them to have a listen as he shared is heart behind investing in my life. BEC grabbed a hold of Jeremy’s vision and asked me to be apart of the BEC family. Now, even though The Rescue is your BEC Recordings debut, it is actually your third release. Can you talk about some of the differences between recording and releasing music independently and doing so with the label? Yes, this is my third release. The other two projects were done independently and on very low budget, ha. We did everything ourselves and worked with close buddies to get it done. When comparing the two, The Rescue is shockingly different. Working with Jeremy Camp and Andy Dodd allowed the album to have every tool we needed at hand and more. It was the most amazing experience. Having them coaching me and rooting me on the entire time was so encouraging and amped me up to bring my best! The title track off your new record, "The Rescue," has been doing very well on Christian radio lately. Last I knew, it was #22 on the CHR charts. Can you share what Scriptures were behind this wonderful single and what caused you to write it? “The Rescue” is based on the story of Peter, when Jesus called him to step out of the boat and onto the water. It’s when he takes his eyes off of Christ that he begins to fall away. I started thinking about the moments in my life when I too have taken my eyes off of Christ and fallen away. We can look at this story and say that it’s the moment Peter lost his faith or we can look and say it’s the moment he had the greatest faith. He could have called out to anyone for help, but he didn’t; he called out to Christ to be rescued. That’s the kind of faith I want, knowing that in my moment of need, and even in the moments I feel like I don’t need anything at all, that I’m calling out to Christ and keeping my focus on Him because He is the rescuer. You also recorded a music video for "The Rescue," which focuses on two arguing parents and their son who makes it all better. Can you talk about the message conveyed in this video? Being in youth ministry for years, I’ve seen many families torn apart and the kids lives left in ruins. I’m sure we can all relate to this in some way. Most of us know someone who experienced this, or shared the fear of it happening to us. In the story, the parents had lost sight of what was important while the child focused on escaping it. He knew if he could get to the stars he could be rescued from the chaos. The parents are unaware of what’s happening until they see this cardboard rocket ship ready for take off. They realize they had lost sight of what’s important. The child was their rescue in a sense, and put them back on track and focused. "All I Really Want" just went to radio this week! It's a really great worship song, and I'm sure it will connect with the radio listeners the way it did with me when I first heard it. What do you hope listeners will grasp from this powerful single? "All I Really Want" is born from Psalms 142:5, "You are my place of refuge. You are all I really want in life.” It’s the idea that God is not just enough, but considerably more than the Lord. It's a reminder that God is everything we need and there's nothing better to be found. You can search all you want, but only God can give you what you're are seeking. He is everything we have been searching for. Two of the tracks off The Rescue, "How Worthy" and "The Only One," were actually featured on your independent projects. Why did you decide to re-release these on The Rescue? “How Worthy” is a song that has always been close to my heart, and the chance to rewrite it was incredible. It wasn’t planned, but just happened when we were messing around with some ideas that just seemed to fit together. The chorus of “How Worthy” was on my first project and the verses were born from a 45 second transition on my second project called “I Met a King.” "The Only One" just happens to have the same name as another song I did, but they aren’t the same song at all. Both convey a similar message that Christ is the only place we can find rest and truly give our trust. Let's talk next about your song-writing. The new album covers a number of topics, whether that be a powerful worship song like "Only a Glimpse," a thought-provoking call to action such as "What's At Stake," or an encouraging track directed at the listener such as "Perfect." How did these ten songs on The Rescue come to be about, and what is it you hope the listener will gain from an honest listen to your album? Sometimes songs just come to me while driving or in the middle of the night, and other times while reading the word. I have yet to find a pattern. Most of this album was written with ideas that came from my heart. Jeremy and Andy helped piece it together by adding ideas from their hearts. The album encompasses a theme of hope and the rest we find in being rescued. The recording process was unbelievable. It took us a few months to get everything together and worked out, but it was unforgettable. Such amazing chemistry and friendships were created. I remember that I would sing my heart out, finish a take, and ask how it was. Jeremy would be in the other room laughing at me telling me how bad it was, haha. All in love of course! I feel like I really learned how to sing properly on this album. Being around such amazing men, and talented men at that, was an incredible experience for me. I hope everyone who listens to the album will be encouraged to draw closer to God and seek Him in all things! You have covered Chris Tomlin's worship anthem "Our God" at many of your live shows. Do you ever plan on recording this song or other popular worship songs on future albums? I haven’t planned on it, but I have many people express their interest in having a studio copy. I’d be honored to record a version of “Our God” sometime if Chris was alright with that! Since you've been touring with Jeremy Camp for a while now, you must have had some interesting experiences on the road, either hilarious or strange. Of these experiences, can you share one of your personal favorites? Well every trip has been amazing for me. We recently just got back from the Philippines and are headed to Brazil in a few days! Jeremy and I held a python in the Philippines. I once dressed as Papa Smurf and came out to dance during Jeremy’s set. I got Jeremy handcuffed after a show in Texas. Haha. There are so many memories! Most recently, we did a meet and greet, and took family style portraits with people. That was pretty memorable! Looking forward to the many memories to come! As a singer myself, I really admire your mature vocals. Can you talk about how you discovered that you were meant to be a singer? Is it something you have always known, or is it something God revealed to you over time? Wow thanks for the compliment! I truly had no desire to sing. It just kind of happened after I bought a guitar. Seemed natural and people didn’t make weird faces of disgust at me when I sang so I figured I was doing alright, ha. I just wanted to lead worship whenever I could, and doing that shaped my heart and my voice. I didn’t know I was meant to do this until the Lord had given me a vision of music ministry on the road about three years ago. At the time I was in my 5th year of being on staff at a local church doing youth ministry and worship. I never saw myself doing this, and feel so blessed to have the opportunity! Thanks for your time, Adam! The Rescue really is a fantastic album which really blessed me. Do you have anything you'd like to share in closing? I hope that you all enjoy my new album, The Rescue! I pray that these songs will draw you closer to our Creator. Remember to seek the Lord in all things and never underestimate where the Lord has you!